Energy demands in U.S. supermarkets are massive, with refrigeration and lighting accounting for over 50% of total energy use. Each year, the average American supermarket consumes roughly 50 kilowatt-hours (kWh) of electricity, and 50 cubic feet of natural gas per square foot. This translates into average annual energy costs of $200,000, and the emission of 1,900 tons of CO2 into the atmosphere–the equivalent of 360 vehicles. Even small grocery stores have significant energy requirements as walk-in freezers experience severe heat infiltration during operating hours, necessitating the consumption of more power to keep foods at the desired temperature. 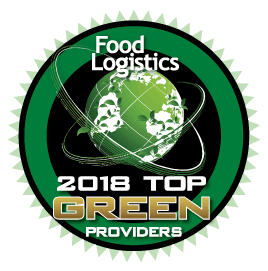 Grocery and supermarket chains are constantly seeking innovative yet proven methods to reduce energy spend and the carbon footprints of their stores. Profit margins in the grocery space are razor thin, and researchers estimate that $1 in energy savings is equivalent to increasing sales by $59. To tap into these potential energy savings, a large well-known international grocery chain invited Viking Cold Solutions™ to conduct a measurement and verification study of its Thermal Energy Storage (TES) systems. Viking Cold’s TES systems optimize existing refrigeration systems with groundbreaking technology to decrease energy consumption, lower operating expenses and reduce carbon footprint. This patented solution uses food safe, non-toxic Phase Change Material, which absorbs 300 times more heat than food, and maintains stable temperatures. The study observed that across many different operating scenarios and energy sourcing conditions the Viking Cold TES system produced significant results. Refrigeration equipment was able to be turned off for extended periods of time while maintaining stable temperatures, and electricity load was reduced 70-85%. 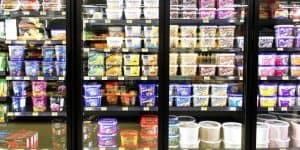 These findings are based on data that was collected during normal operations within the store including peak business hours when energy challenges, such as excessive cooling-loss due to constant freezer door openings, were present. Integration of Viking Cold’s solutions proved to be effective at significantly lowering energy load, consumption, and costs while maintaining more stable temperatures and protecting food quality. The global opportunity for improving energy efficiency in grocery freezers is tremendous. And in the grocery and supermarket segment, where margins are so thin, the financial benefits alone justify TES investments. Those forward-looking supermarkets that implement our proven TES systems gain competitive advantages through increased operating efficiencies and the ability to demonstrate their commitment to the environment. Learn more about how Viking Cold’s TES system increases operational efficiencies in grocery store and supermarket freezers here.